Noel and Blobby in Blobbyland, c1994. No theme park is complete without a kids' play area. Crinkley Bottom was no different, but it went that extra mile in providing a fun space to play. Situated close to the entrance of the park and conveniently closer to the Liszt and Newt pub, Crinkley Bottom's Fun Village (aka Blobbyland) contained all manner of ball pools, slides and tunnels. But it also housed a number of very odd 'shops', similar to those that appeared in Crinkley Bottom high street (see the Other Attractions section). Along with a large number of coin-operated rides relating to the various children's TV characters featured within the TV's Family Favourites water ride, Blobbyland was one bizarre play area destined to turn even the most boisterous child into a state of sensory overload. From its whimsical exterior through to its loopy 'Gunge Factory', nothing was going to seem normal in Blobbyland. Just next to its entrance was Crinkley Bottom Haute Cuisine Emporium, a restaurant and café. Attached to this was the Liszt and Newt pub, with a balcony that Mr Blobby was known to emerge. Home videos and photos of Blobbyland tend to show Mr Blobby and his wife Mrs Blobby waving from the building's balcony, or prancing around in the makeshift chequerboard courtyard of the venue. With a simple white fence to stop children running into the performance space, the Blobby family would greet visitors and stop for photos. So, about those shops. 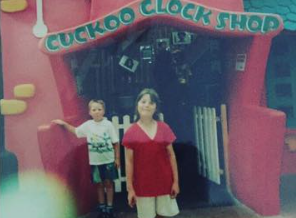 Doubling up as the perfect opportunity for children to buy food, have their face painted or photos taken, Blobbyland boasted its very own Smell Shop, Gunge Factory, Town Hall, Peculiar Pet Shop, Potty Plant Shop, Cuckoo Clock Shop and Bakery. There was also a number of animated Crinkley Bottom residents who would move when activated by the press of a button. These were very similar in style to the characters featured in Crinkley Bottom High Street and within the Gunge Mines (see Other Attractions). 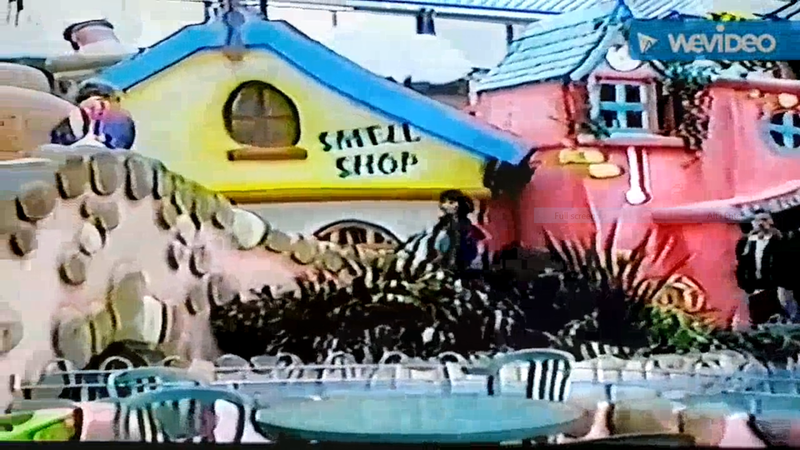 Following the removal of all Mr Blobby-related attractions at Crinkley Bottom in 1997, Blobbyland was referred to as the Fun Village until late 1998. Following the acquisition of Cricket St Thomas by Warner Hotels, the venue was demolished and turned into a large courtyard to house meerkats and birds. The Liszt and Newt pub still stands to this day, though it was reverted back to its original name of the Black Swan in 1998. 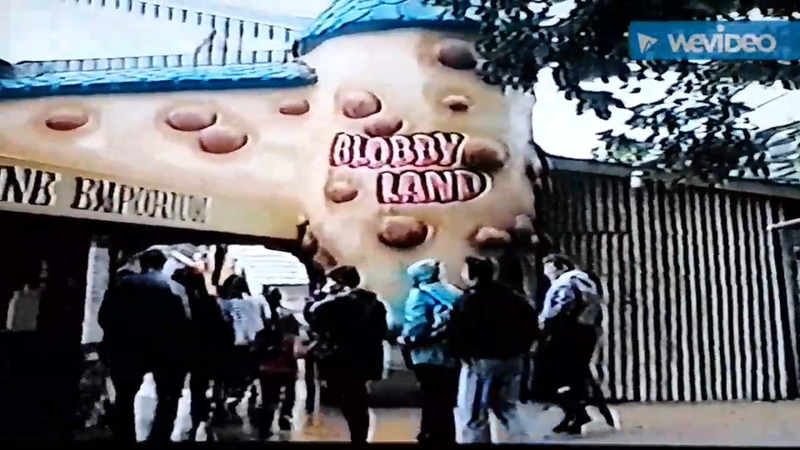 Do you remember BLOBBYLAND? If you have any photos, videos or memories you'd like to share, please contact us.